From browsing major political trends to viewing endless debates on prime-time news, from voicing injustice on placards to marching on streets, from the 15-minute celebrity potshots to the calculated polarization antics, from the paid-media smear campaigns to the inhuman culling of its opposing voices; as one follows the bizarre events happening in our country, it tends to make one either go bonkers or turn him or her into a pessimist. There comes a point beyond which one is too numb to react even to the greatest of atrocities, or to appreciate the tallest of challenges negotiated. My nation is turning 72, and yet, a lot of factors threaten its social fabric and seem to be lowering its once esteemed international repute. However, this article is far from pessimism, and is about an average Indian Christian’s nationalistic dreams. I recently viewed a video excerpt of the 84th plenary meeting of the Indian National Congress (let me tell you that I am apolitical when it comes to party affiliations). The party that was once an invincible behemoth is going through a major identity crisis, while its nemesis, the BJP, is trouncing it in every Indian state. I was expecting vapid explanations and repetitive sloganeering—a swansong of sorts. But one of the many speeches captivated my attention. As Shashi Tharoor took the podium and started in his trademark vocabulary and diction, an uttered word, ‘Palimpsest’, caught my attention. As my 21st-century mind was mulling over the term palimpsest—an ancient manuscript where a writing is erased and overwritten while the earlier traces still remain visible—my senses continued with the speech. He was talking about the Constitution of India, and how two or more can agree to disagree until they do not question the very ground rule on which the debate stands. I was really captivated by the choice of words. It had me thinking, ‘where did we start’, ‘how did we start’, ‘what did we want to progress to’, and ‘where we would be on the 72nd Independence Day’. Any nation is birthed on rudimentary fundamentals—the first principles. And, a nation can only be built by progressing on the route of comprehensive development, without forgetting the fundamentals on which humanity itself is founded. Any society must be built on that egalitarian platform. A government has to realize that every member within it—regardless of their representation in age, gender, demography, caste, creed, language, economic status, etc. —must be viewed and treated as equals in the arena of human dignity. For any nation that has this egalitarian principle as its first principle, finds no need to change its ground rules, but to use that as a foundation to build upon. Improvisation and updating on these principles helps achieve a holistic growth that permeates to every citizen of that nation. Our nation is the largest democracy in the world and has a constitution that promises equality, justice, liberty and promotes fraternity among its constituents. Any government that comes to power in this land needs to start from this ground rule, where the minority segments are identified, not to be targeted, but to be empowered to access basic rights, opportunities and services. This is where a clash of ideals takes place. If any incumbent government does not believe in this ideal of equality, both on paper and, more importantly, in its core belief, the nation is on a perilous route. We can shrug our national responsibility but there is no hope for our nation without every Indian Christian understanding the power of the Christian message and its enactment through demonstration by the church. The Bible has much to say on this issue. The first sociological principle is that we all have a divine human dignity by birth—to be made in the image and likeness of God (Genesis 1:27). This core belief espouses the equality, liberty and justice that my nation’s constitution stands for. The importance to love the other as oneself stems from this. If a nation is built on this worldview, imagine the affairs of such a state! A utopian dream one might say, but a dream with a solid principle that a nation can return to even after having lost its way. The power of mnemonics at work, when the first principles of a nation divinely drafted on Mount Sinai (Exodus 20), being remembered centuries later by a relatively young national leader (2 Kings 22, 23), who could turn an entire nation from blatant apostasy back to the first principles, needs to serve as an example for every Indian Christian and local church. Sociology and anthropology demands these first principles. Imagine a state that spends its resources, both tangible and intangible, in identifying the need of every people group without any prejudice. Imagine a state where you are not criminalized on the basis of your faith affiliation, or lynched on the basis of your dietary leanings, a state where a Nirbhaya or an Aasifa do not have to endure an ordeal so inhuman based on a faulty worldview, a state where a Dabholkar or a Gauri Lankesh are still warring against the evils of these worldviews, a state where a Scheduled Caste/Tribe student can be accepted into any esteemed institution without being driven to end his life. Imagine this state. And, remember that that’s the state our Gospel offers. Reminiscing the day of Pentecost, nearly two millennia before, when such a society was formed (Acts 2:44,45, Acts 4:34,35), on such a first principle—Love of God, Love of Man (Mark 12:29,31); a society that through the passage of time may have meandered, but has a clarion principle and an example to return to; a society that represents the idea of unity in diversity within its basic tenets (1 Cor 12:12-27). That is the holistic solution towards nation building and our contribution as Indian Christians towards our nation. Yes, we can shrug our national responsibility to hit a spiritual note of excuse, but there is no hope for our nation without every Indian Christian understanding the power of the Christian message and its enactment through demonstration by the church. The scepticism in this article’s first lines can only be nullified by the active and multi-tier engagement of the church at every level of society—to spread the gospel and to perform its role as the salt and light in this nation. I am a proud Indian Christian. But I am expected to be a dutiful one too, to make my nation remember the first principle of the holistic Christian worldview. Ah! 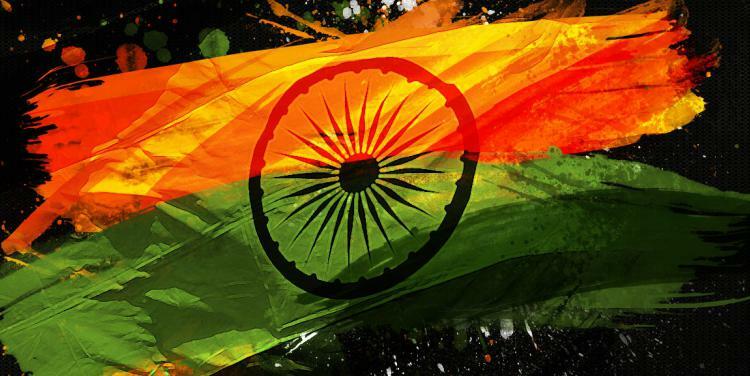 The holistic Christian worldview—that’s a matter of pride that every Indian Christian should have when he or she salutes the hoisted flag this Independence Day.